The Ballyhoura FAS Outdoor Course which is currently accepting applications and due to start in late September 2012. Ballyhoura Outdoor Recreation Course is a challenging 40 week full time course that provides participants with expert tuition to develop the skills, knowledge and qualifications necessary to gain employment in the outdoor adventure sector. Based in Kilfinane, Co. Limerick, a typical day sees participants mountain biking the Ballyhoura trails, hill walking in the Galtees or kayaking on Lough Gur or the Lower Shannon. The course is run by Ballyhoura Development Ltd in association with FAS. To qualify for the course, participants must have an interest in sport and an ambition to work in the outdoors. Applicants should be aged over 18 years. For more information or to apply, contact Anisa Moynihan, Ballyhoura Development Ltd. Tel. : 063-91730 or email: amoynihan@ballyhoura.org or contact your local FAS office. Coillte have made their new off-road strategy available on the Coillte Outdoors website. You can view the document here. This strategy has major implications for mtb access and development around the country so it’s well worth taking the time to read though it. Please see the response from the Offroad Commission here. Irish XC MTB site is being assimilated! 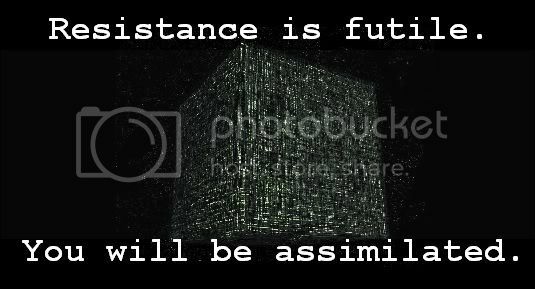 No, not by the Borg Collective or anything sinister like that. In an effort to reduce maintenance, cost and data duplication, this site is being turned-off for 2012 and will be replaced by the OffroadCyclingIreland site which will contain all the new posts and information for XC and well as the other disciplines such as DH, CX and BMX. The majority of the various pages from the Irish XC site have been migrated over to the new site. Please update your bookmarks to reflect this change. A temporary redirect will remain on this site for a limited time to point users to the new site. Following a recent call for submissions to the Coillte MTB Strategy, concerns have been raised in some quarters regarding the level of involvement of the mountain bike community in communications with Coillte, as well as other landowners, and also relating to the level of progress to date and the value of continued dialogue. While it is not practical to deal with all the various points here, I want to give an overview of where we are and suggest a mechanism for addressing specific concerns and communicating information going forward. While there have been some notable steps forward over reason years, and much progress has been made, it is an undeniable fact the progress in certain areas has been slow and fraught with issues. Instead of going through a litany of successes and failures I will explain where things stand at this moment in time and how we plan to progress them forward. At this moment in time a panel (which includes us) is in the final stages of drafting a Coillte Mountain Bike Strategy. This Strategy will provide a framework to deal with many of the issues we face while biking on Coillte property. While many elements have not been finalised, the Strategy will deal with areas such as future purpose built trail developments, local involvement with clubs in trail building projects and mechanises that will help us to deal with the imposition of the infamous bye-laws. While at this point we can’t go into much of the detail on a public forum we can assure you that Coillte have been fully engaged with us, acknowledging our concerns and quite active in trying to find workable solutions. While having a National Strategy that specifically deals with our concerns is a landmark achievement, it is at the end of the day a document. Its implementation and delivery on the ground will determine both it’s relevance and whether or not it will prove to be a success. While elements of it cannot be tested until it is agreed and launched, some can be progressed now. With this in mind we are trying to progress some trail building projects. Those of you who have been involved for a number of years will know that we have had a number of attempts at projects to date, some proving to be a success and paving the way, other have become stalled and others unfortunately have failed. The one positive coming from the issues is that there is now a reasonably clear formula for what will make a successful project. Many of the issues that have caused issues in the past have been looked at and a project has been selected as a test of the new process. It is progressing well and we would hope to have positive news to share on it very shortly. Obviously trail projects are just one issue and Coillte is just one of the landowners we have experienced difficulties with, there are many more stakeholders and many more issues – far too many to address in this communication. To help inform people of the various issues and difficulties we have created a FAQ section of the MBI site where people can view answers to questions they post. If you have questions, please use the Contact Form to enter them, once we have an answer, we will post it in the FAQ section.
. We will try to address the various concerns as best we can and take any suggestions on board. Following from this we may organise some open forum meetings to address any consistent issues and discuss more openly some of the more divisive areas. As always we are looking for people to get involved and help out. The process we are involved in a long one and has at times been incredibly difficult, it is always refreshing to have new ideas and to get enthusiastic people involved. If you wish to get involved and help out let us know (via email or phone). The CI Offroad Commission is currently making submissions to Coillte regarding a draft National Mountain Bike Strategy. While we are confident we are aware of many of the key hotspot areas for mountain bike activity, there may be areas of Coillte lands being use that we are not aware of. If you are a local club active in an area that you feel we may not be aware of please email offroad.commission@gmail.com, with details of both your club and the location. The purpose of this exercise is to gain a better understanding of the level of activity across Coillte lands and to form the basis of a frame work which may lead to future trail development at both local and national level. All information will of course be treated as confidential and will not be used for any form of punitive reasons. There is quite a tight deadline which we have to work to so as far as possible could you please send submissions by Sunday 30th October. If you feel you would like to make a submission but have concerns please feel free to contact Sean Herlihy at 087 9854445 to discuss. This post has been updated to include invitation of submissions for non-champs endurance/marathon events. This post has been updated to include invitation of submissions for XC Marathon Champs and XC National Champs events. The Offroad Commission are taking submissions for hosting clubs for the 2012 XC series, a draft calendar (non-confirmed!) of 2012 race dates can be seen here. For the NPS, a 6 race series is planned, with the best 5 out of 6 races counting towards the total. A minimum attendance of 4 races for Senior & Junior categories, and a minimum attendance of 3 races for Youth are required to be eligible for points in the league table. 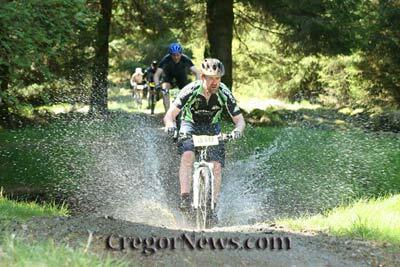 Clubs who intend hosting a round of the XC NPS or XC Champs events in 2012 should send an email to offroad.commission@gmail.com with the subject “2012 XC NPS event submission” by Nov 30th 2011. For the NPS, approx. 1 week after receipt of submissions, clubs will be notified if they have been successful in their submission based upon the NPS event-standard criteria and other factors. For Champs events submissions, clubs will be contacted in due course. Terror On Two Wheels: The Ballyhoura Spook! Welcome to the 2011 Ballyhoura Spook, the Halloween Mountain Bike Stage Race! Formally known as the “Screamer” – it’s the same great event as in previous years but now bigger and better than ever. So why make the trip down? This year we have hot food and drinks on site, pumping music and live commentary, plus an end of season after party that’s not to be missed. The winner of the 2011 Ballyhoura Spook will be the fastest person over the two stages. This is a reminder that Motions and Nominations for the 2011 Offroad AGM must be submitted to the Offroad Commission email by Saturday 1st October at 1:00pm, any motions or nominations received after this date/time will not be accepted. You MUST include your Cycling Ireland licence number and your full name. 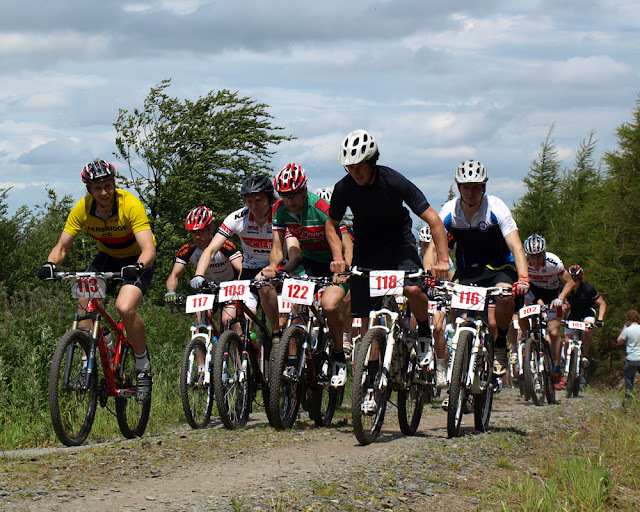 On Sunday October 9th Connemara MTB will be hosting the Connacht MTB Champs for Connacht Cycling in Rosscahill Woods. This is an open championship so anyone can enter. There will be lots of categories -Elite, Expert, Sports, Juniors, Ladies, Vets, U-16, U-14, U-12 and U-10 and a prize for the best placed singlespeed. Races will start at 11am with sign on from 10am. The Connacht medals will be awarded at a prizegiving cermony in November but there will be prizes on the day as well. Entry fee is only €10 for seniors, €5 for juniors and €3 for underage.The race trail is the 8km club loop (90% singletrack) and is a good technical test. Come along and support mountain biking in the West! Funding Secured for Davagh Forest Trail Development. In partnership with Cookstown District Council, CAAN is working on a project to deliver approximately 11.5kms of multi purpose trails within Davagh Forest. A concept plan was completed by Dafydd Davis in 2009 and this will form the basis of the new trail system. Funding has been secured and it is hoped that the new trails will be in place by end of September 2012. This is excellent news for the development of MTB in the region, thanks to all who have made this possible and especially Carn Wheelers whose very successful round of the XC NPS in 2011 proved that this is an excellent venue for both racing and casual mountainbiking, and riders from all parts of the country will again be eager to head north in 2012 to race once again at this scenic and exciting venue.